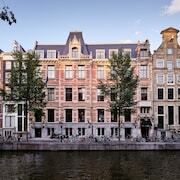 With a stay at this apartment in Amsterdam (Amsterdam City Centre), you'll be minutes from Spui and Begijnhof. 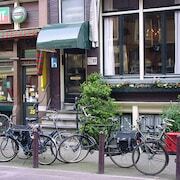 This property is within close proximity of University of Amsterdam and English Reformed Church. Make yourself at home in of the guestrooms, featuring kitchens with full-sized refrigerators/freezers and stovetops. Wired and wireless Internet access is complimentary, and flat-screen televisions with cable programming provide entertainment. Conveniences include desks and separate sitting areas, and you can also request cribs/infant beds (surcharge).